Would you pay $12 a month for a Karate Kid spinoff? Currently, the only way to watch YouTube Originals like Cobra Kai, a Karate Kid spinoff, and Step Up: High Water, an offshoot of that dance movie with Channing Tatum, is through its subscription service YouTube Premium. But doing so also means shelling out $12 a month, though you do get the added perks of ad-free and offline viewing. So far, YouTube’s lineup hasn’t raked in much in the way of buzz or accolades, especially when compared to content from competitors like Netflix and Amazon. (Have you even heard of Sideswiped? What even is Champaign ILL? Did you even know Demi Lovato had a YouTube documentary?) That’s at least in part because YouTube’s coffers for scripted content aren’t exactly overflowing. The Hollywood Reporter writes that the YouTube Originals budget is in the “hundreds of millions,” while Netflix and Amazon have “several billion” to put out higher budget fare capable of winning at award shows. “As we look to 2019, we will begin making all our YouTube Originals ad-supported to meet the growing demand of a more global fanbase,” a YouTube spokesperson said in a statement to Variety. “This next phase of our originals strategy will expand the audience of our YouTube Original creators, and provide advertisers with incredible content that reaches the YouTube generation,” the spokesperson said. This statement seems to suggest that Youtube plans to lean more heavily towards celebrity-produced content and its typical creator-based videos, instead of expensive, scripted shows. To be clear, YouTube isn’t necessarily shying away from original content altogether—it’s just planning on putting ads in its originals instead of locking them all behind a monthly paywall. 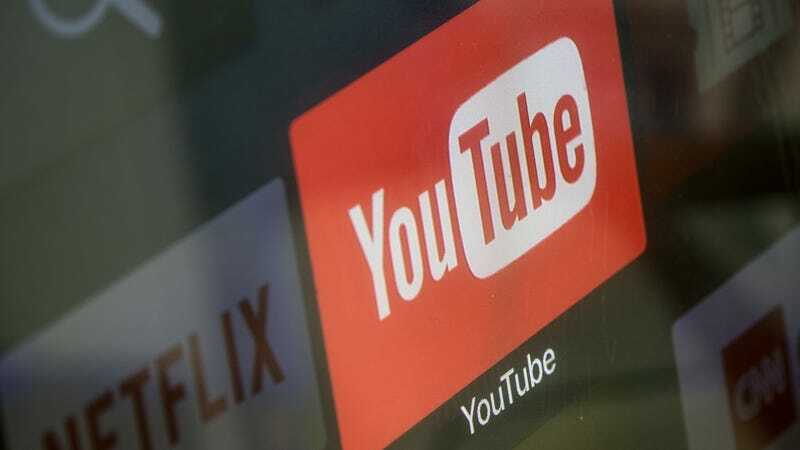 The company has not disclosed just how many people pay for YouTube Premium, YouTube TV, or its newest service, YouTube Music Premium, but it seems to have gotten the message. While we’re not exactly scrambling to pull out our wallets to watch Cobra Kai, YouTube could squeeze some extra ad money out of us by offering up the same stuff for free.